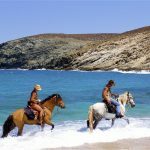 At Horseland we provide our clients with a memorable and safe riding experience on one of the most beautiful Islands in the Cyclades. 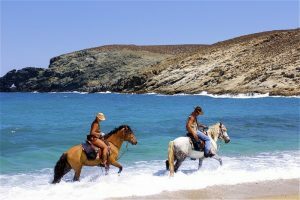 We offer the opportunity to discover and ride through unique and breath-taking scenery on the island of Mykonos, from Horseland in Ano Mera to Fokos Beach. 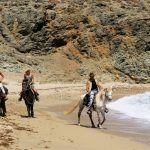 Riders are accompanied by a professional guide who helps make the experience relaxed and comfortable as you tour through the distinctive Cycladic landscape. Each rider’s specific needs are respected and taken into consideration, and for beginners and novices we provide instruction prior to leaving on horseback. We provide all necessary safety equipment for a pleasurable ride. Free transportation to and from your hotel, anywhere on the island is offered free of charge if required. Many of our horses are rescue animals, and have been working with tourists on the island for over 11 years. 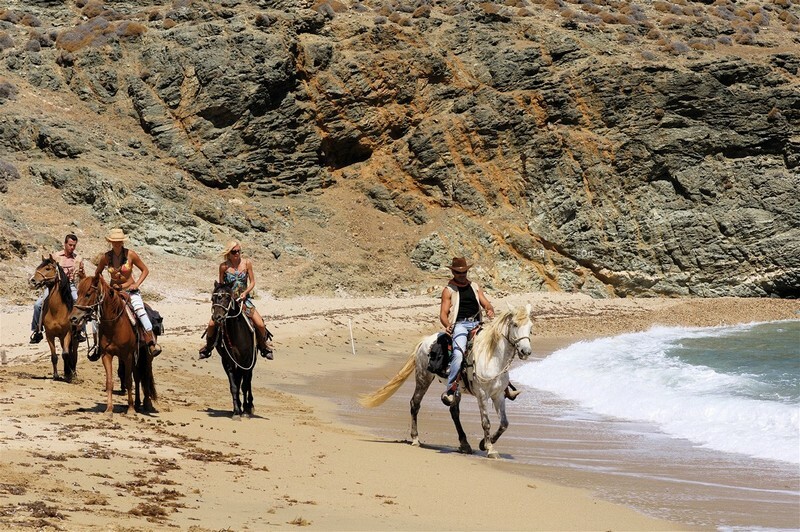 Horseland proprietor Fanis Rouvas is a professional-riding instructor, horse-trainer and breeder. He has worked with and cared for horses for over 18 years. His techniques are safe, and his love for horses apparent. His horses are well cared for and personally trained & groomed to maintain healthy bodies & balanced minds. 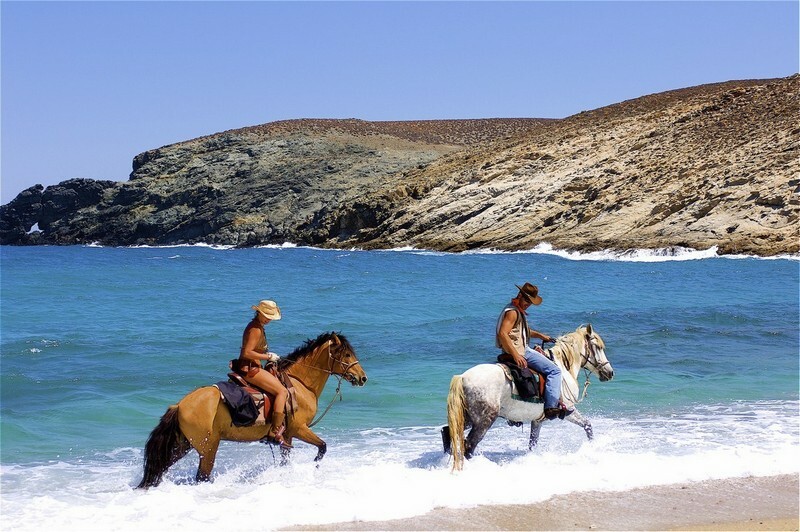 His experience with horses is unmatched in Mykonos. This is a rare and unique experience, and one of the best ways to acquaint yourself with the natural beauty of our very special Island.